Driving While Intoxicated (DWI) is a serious offense that carries significant penalties in the state of New Jersey. The consequences of a conviction can be far-reaching and can impact all areas of your life. Birkhold & Maider, LLC is commited to defending your rights in the event of an NJ DWI charge. What Can A Essex County DWI Lawyer Do For Me? A Professional DWI Lawyer at Birkhold & Maider, LLC is well-versed in the nuances of N.J.S.A. 39:4-50, and will aggressively fight to defend your rights. DWI or DUI is one area of law that the New Jersey Supreme Court has mandated that charges cannot be downgraded. Because the state mandates that no plea agreements can be negotiated between defense attorneys and prosecutors for this type of offense, it is key to work with a team that knows how to get your case dismissed to avoid mandatory penalties. 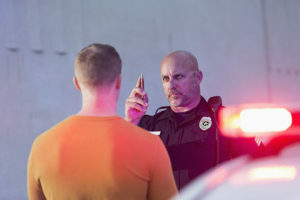 Some common avenues to pursue to avoid a conviction include: Lack of Proper Basis for the Initial Motor Vehicle Stop, which places a burden on the police and prosecutor to demonstrate that there was a valid basis for the motor vehicle traffic stop; Inability to Prove Operation, where ‘operation’ includes control of the motor vehicle, an intent to cause it to move, conduct to set it in motion and the possibility of the motor vehicle being set into motion; Failure to Demonstrate a Valid Basis to Arrest the Accused, which means that police can only make an arrest for DUI if there is probable cause established; Lack of Reliable Scientific Evidence, where evidence of elevated blood alcohol content must be measured according to specific protocols; Failure to Provide Required Discovery is when documents and other pieces of evidence, including video and audio, are not disclosed to defense attorneys at their request; and, Failure to Conduct a Speedy Trial. Under the Sixth Amendment to the Constitution of the United States, the accused has a right to a speedy trial. Length of delay, the reason for the delay, a defendant’s assertion of this right, and prejudice to the defendant are all considered. Good defenses take time to develop, and not all NJ DWI lawyers are the same. Don’t go at it alone – get a team on your side that will explore thoroughly all your potential options. Contact an Essex County DWI Lawyer for a free, no-risk case evaluation. An NJ DWI Lawyer at Birkhold & Maider, LLC, will serve accused parties and their families in many townships and jurisdictions across New Jersey including Newark, Belleville, Paterson, Clifton, Passaic, East Orange, Bloomfield, Nutley and other townships in Essex, Passaic, Bergen, Union, and Middlesex Counties, and beyond. Our attorneys represent clients in jurisdictions across the state of New Jersey including, but not limited to, Essex County Superior Court, Passaic County Superior Court, Bergen County Superior Court, Union County Superior Court, and Middlesex County Superior Court, among others.